January 10, 2019: Rolls-Royce Motor Cars has achieved the highest annual sales in the marque’s 115-year history, with 4,107 cars delivered to customers in over 50 countries around the world in 2018, and continues to generate a positive contribution to its shareholder, the BMW Group. 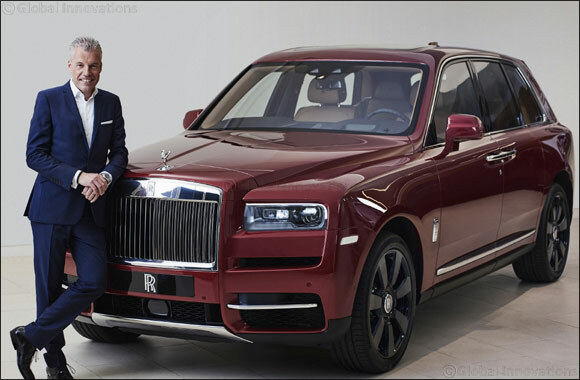 In a year of multiple records, the world’s foremost Luxury House also enjoyed unprecedented demand for its Bespoke creations, and launched the new Cullinan – the Rolls-Royce of SUVs – to great international acclaim. The Americas remained the company’s largest market in 2018. Sales also grew across all regions during the year with buoyant customer demand across the model range. Phantom was a major growth driver, flanked by the very contemporary and seductive Wraith and Dawn models. To meet growing worldwide demand for its products, Rolls-Royce Motor Cars employed 200 new associates, mainly in skilled manufacturing roles, during 2018. These new appointments mean the total workforce at the Home of Rolls-Royce now exceeds 2,000 people for the first time since the plant opened in 2003. The year also saw a record intake of 23 new entrants to the company’s highly successful Apprenticeship Programme. Since its launch in 2006, more than 100 candidates have completed the remarkable transition from total beginner to confident, highly-skilled specialist: most are still with the company, many in senior technical and supervisory roles. The single-line manufacturing system at Goodwood, installed in 2017, proved completely successful in its first full year of operations. This year saw further refinements to manufacturing facilities, equipment and processes to maximise efficiency and ensure the highest levels of quality as demanded by Rolls-Royce customers.